Scientists from Bern University in Switzerland analyzed data from 31 trials involving more than 116,000 patients taking either naproxen, ibuprofen, diclofenac, Pfizer's Celebrex, or celecoxib, Merck's Arcoxia, or etoricoxib, Merck's Vioxx, or rofecoxib, Novartis' Prexige, or lumiracoxib, or a placebo, to try to give an estimate of the heart risks of such medicines. The drugs studied included traditional non-steroidal anti-inflammatory drugs (NSAIDS) as well as new generation anti-inflammatory medicines known as COX-2 inhibitors. While the absolute risk of cardiovascular problems among people taking painkillers was low, the researchers found that relative to placebo the drugs did carry "important risks." Reporting their findings in the British Medical Journal (BMJ), the scientists said that compared with a placebo or dummy pill, rofecoxib and lumiracoxib were associated with twice the risk of heart attack, while ibuprofen was associated with more than three times the risk of stroke. Merck's Arcoxia and the generic drug diclofenac were linked with around four times the risk of cardiovascular death. "Although uncertainty remains, little evidence exists to suggest that any of the investigated drugs are safe in cardiovascular terms," said Peter Juni of Bern University's Institute of Social and Preventive Medicine, who led the study. Overall, the number of heart attacks and strokes reported was low compared with the large number of patients. Data from 29 of the trials showed there were 554 heart attacks in total, and stroke data from 26 trials showed there were 377 strokes. Death figures were available from 28 trials and showed a total of 676. But Juni said the findings suggested doctors should ensure they take potential cardiovascular risk into account when prescribing painkillers. 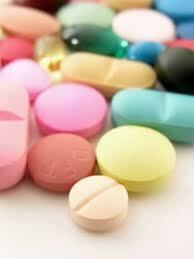 Anti-inflammatory drugs are widely used to manage pain in patients with osteoarthritis and other painful conditions. In 2004, Vioxx, a COX-2 inhibitor, was withdrawn from the market after a trial showed it increased the risk of heart disease. The researchers said that since then, there has been much debate about the heart safety of COX-2 inhibitors and NSAIDs, but various studies have failed to give clear results. After analysing data from the 31 trials, the Swiss team said that in general naproxen seemed to be the safest painkiller for patients with osteoarthritis, but this advantage should be weighed against potential side effects including possible stomach problems. An alternative could be Celebrex, they said, as long it was a 400 milligram dose given only once a day. Commenting on the findings, Simon Maxwell, a professor of clinical pharmacology at the University of Edinburgh, said it was important to see them in context. "Most users of these drugs will only take them for a relatively brief duration to treat short-lasting episodes of pain and are at minimal risk," he said in an e-mailed comment. He added that patients with chronic pain may need to use painkillers for longer periods and while the study suggested they might be exposed to some excess risk, the alternatives "may be less acceptable." Yes, some of the pain killer drug had more adverse events, whether the drugs classified as NSAIDs, Cobix, or others. Make sure you discuss with your physician before take any prescription medication.